Often when Grove Road School comes up in conversation, a comment that frequently crops up, is the lack of a grassy area in the playground. 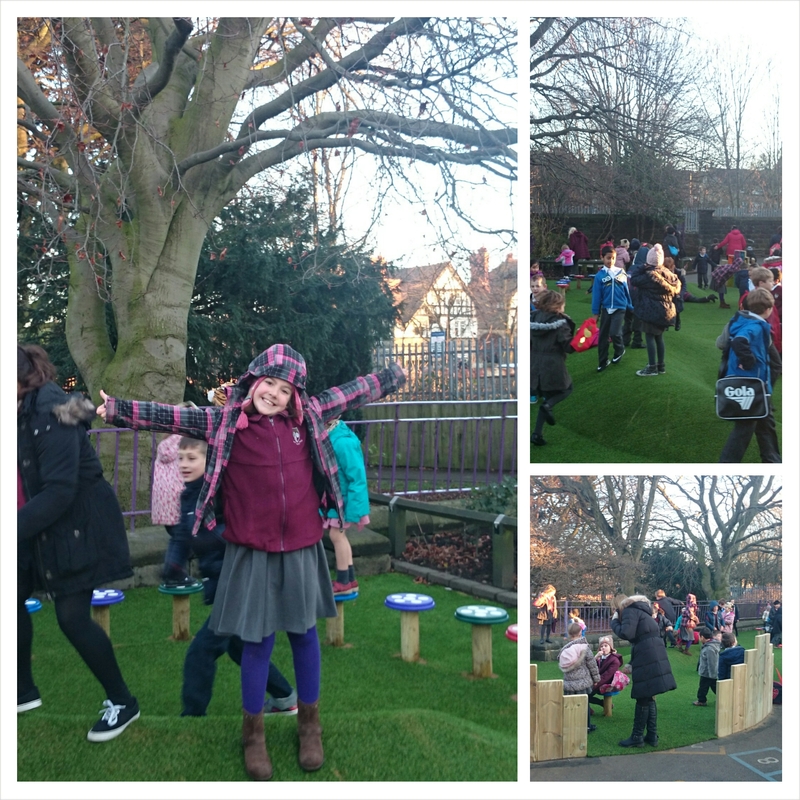 Parents want their children to have access to a green space during playtime. It doesn’t seem to matter that for most of the year their children won’t be allowed on said green knowl as there is a risk of mud, or slipping or grass stains. As of today Grove Road School has a fabulous grassed astro turf play area suitable for all weather play. This afternoon was the grand unveiling. The pupils,who have watched the construction of their new play area with keen interest, ran and jumped, balanced and bounced whilst testing out all of their new recreation zone throughly. The cost was covered by the Pta known as ‘The friends of Grove Road school. Every week cake bakes are hosted, the profits from which go to the class involved in that weeks bake. Twice a year a larger fayre and also a disco are held to raise monies for projects such as the new play area, refitting the library and subsidising school trips and visits. Hopefully more parents will want to get involved now they have such a visible representation of what can be achieved by the Pta.